Welcome to 13 Rialto Cottages, a charming artisan cottage located in the heart of Rialto. Ideally located in this quiet cul-de-sac, this home offers the perfect starter package or indeed trade down for the discerning purchaser. Upon entering the property, the high standard of specification becomes immediately apparent and the accommodation is presented in excellent decorative order. 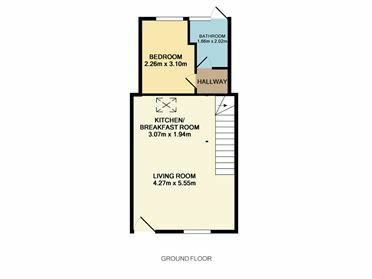 The living room and kitchen are open plan providing bright and spacious accommodation, there is one good size bedroom and the ground floor accommodation is completed by a wet room bathroom with triton electric shower. The attic has been cleverly converted creating an impressive mezzanine level providing the option as an extra bedroom or study. 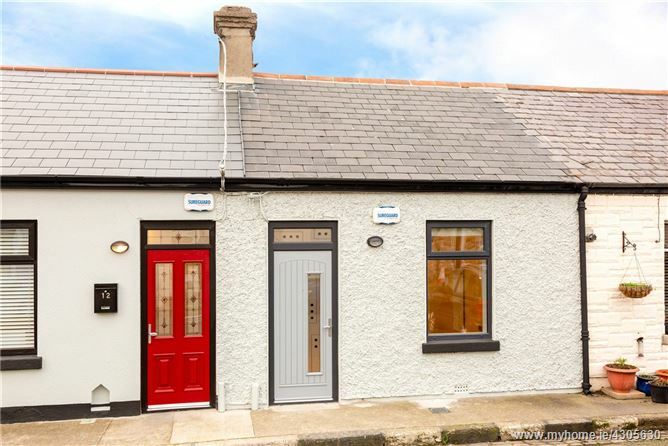 Conveniently located, it is situated within a short drive of the city centre and is just around the corner from the red line Luas Station and the amenities of Rialto village. All in all, this property is sure to have broad appeal as a charming city centre cottage or investment property. Early viewing comes recommended! 55sqm including the mezzanine level. Living Room 4.26m x 5.55m. Laminate flooring. Wall-mounted lighting. Bedroom 3.10m x 2.27m. Carpet flooring. Wall-mounted lighting. Bathroom 1.65m x 2.02m. Fully tiled wetroom. Bluetooth Mirror. 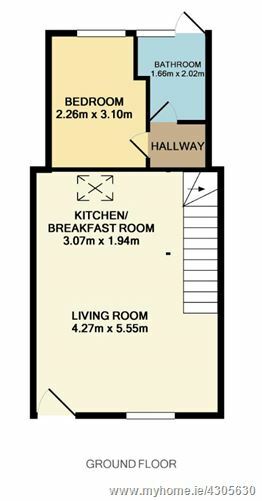 Kitchen 3.07m x 1.94m. Breakfast counter. Velux window. Fitted wall and floor units. Tiled Splashback. Integrated Bosch Inductiion Hob, Microwave, Oven, Dishwasher and Fridge/Freezer. 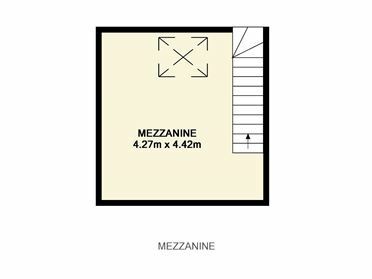 Mezzanine 4.28m x 4.40m. Carpet flooring, velux window and eaves storage.